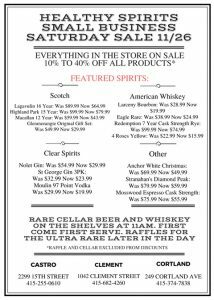 Healthy Spirits – Small Business Saturday Sale November 26th! 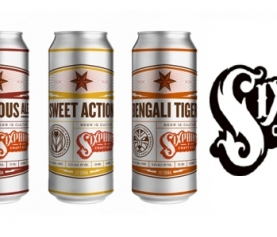 Small Business Saturday Sale November 26th! Home / Uncategorized / Small Business Saturday Sale November 26th! 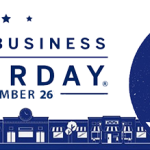 Join us November 26th for our annual Small Business Saturday Blowout! Everything in the shop is on sale, with featured items at rock bottom prices, some up to 30%-40% off. 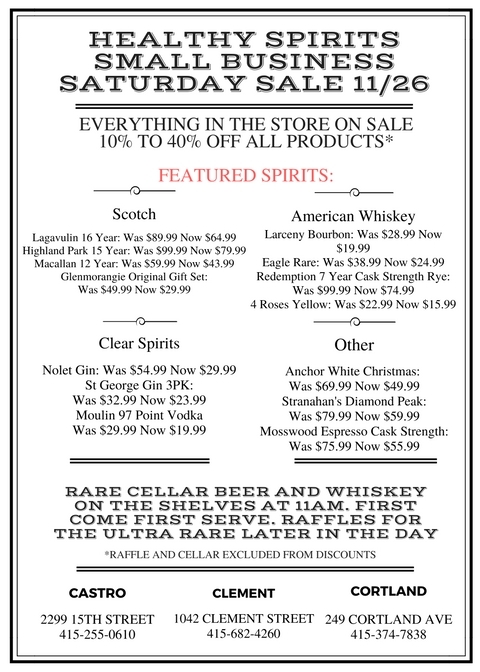 We’ll have some incredible cellar beer and whiskey bottles on the shelf when we open at 11am as well, but come early as the vintage items usually go fast. 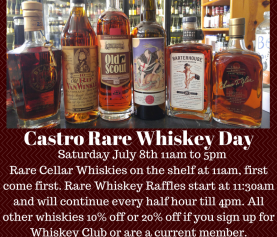 And then throughout the day each shop will hold raffles for the rarest of the rare, items like: Pappy Van Winkle, Buffalo Trace Antique, Cantillon, etc. 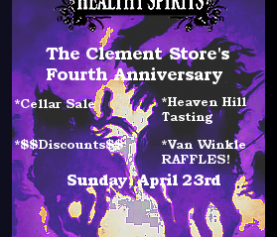 Look out for a list of raffle items and times from each shop soon. Hope to see everyone there!